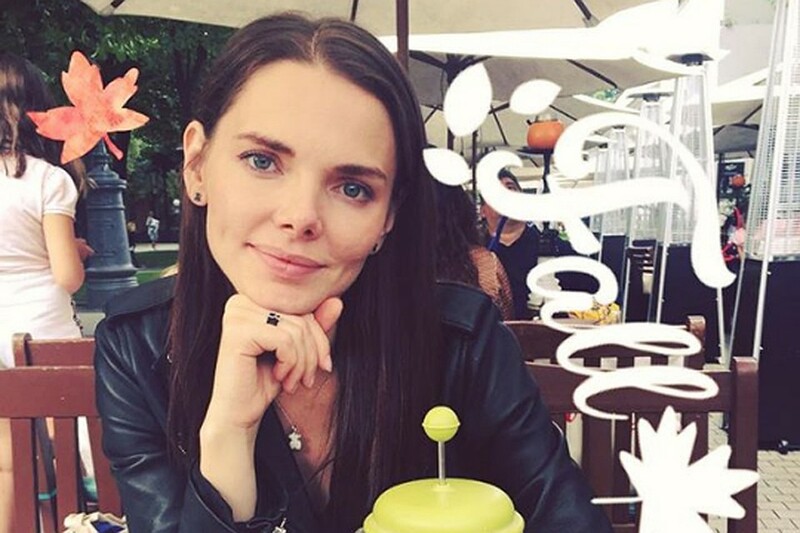 Elizaveta Boyarskaya will go on maternity leave in October. The famous actor's couple Elizaveta Boyarskaya and Maxim Matveyev reluctantly share with fans the details of their personal lives. Even less often the spouses show their son Andrei in public. 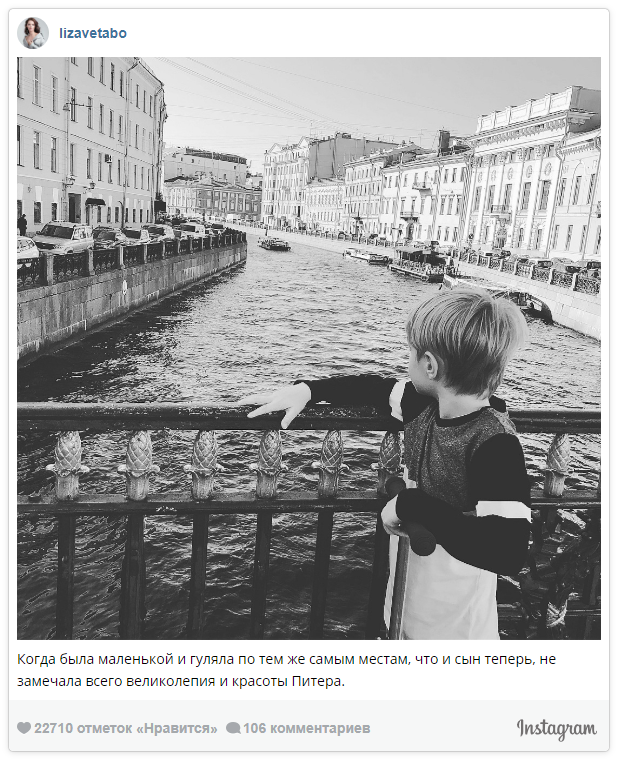 Meanwhile, the boy has already grown up - the grandson of the famous "musketeer" Mikhail Boyarsky is six years old. A rare picture of her adult son Elizaveta shared on Instagram. The actress posted on her page a few photos taken during a walk through the autumn Petersburg. Elizaveta confessed her love to her native city and told how she perceived it in her childhood. 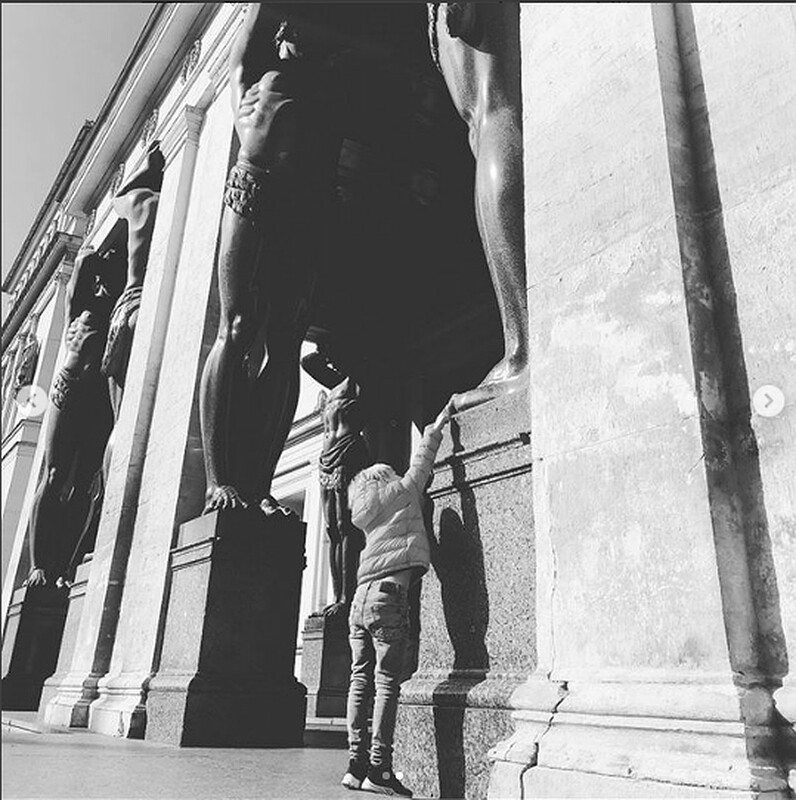 Six-year-old Andrey Matveyev is photographed on the background of the main historical sights of the city on the Neva. - When I was little and walked to the same places as my son now, I did not notice all the splendor and beauty of Petersburg. "Mom, I'll go to the Palace Square to race on roller skates", for me it was an everyday ritual. And now I am enjoying and amazed at the same time! I understand that the city may have always been one of the main tutors, - wrote the actress. Elizaveta tries not to show her son's face in social networks, so it's not very clear does he look like like his mom or dad. His hair is lighter than that of Elizaveta and Maxim, but perhaps they will darken over time. A few months later, the boy will have a brother or sister: Liza is expecting for a second child. The fact that the actress is pregnant became known in early September. Boyarskaya and Matveev never concealed that they would have wanted a son or daughter, and Grandpa Mikhail Sergeyevich periodically says in interviews that he dreams of new grandchildren. In the Maly Drama Theater of St. Petersburg, where the actress serves, they say that Elizaveta will go on maternity leave in October. Maxim decided to put the work on a pause: recently it became known that Matveyev refused to play in the production of Yuri Butusov "The Man from the Fish" at the Moscow Art Theater. Chekhov. The artist referred to family circumstances. Apparently, Maxim decided to devote all his time to a pregnant wife, and the performance at the Moscow Art Theater would require him to travel to Moscow on a regular basis. The actress photographed Andrey on the background of the main sights of St. Petersburg. Photo: Instagram. Let's remind, Elizaveta Boyarskaya and Maxim Matveyev got married in July 2010. And in April 2012, the couple had a son Andrew. Lisa and Maxim live in two cities: Boyarskaya plays in the St. Petersburg theater, and Matveev - in the capital. Because of this, many predicted their marriage a quick collapse. However, over the years their family is only getting stronger. And now the artists decided to become parents again.